March is a magical month, celebrating International Women’s Day on March 8, 2019 and our second Women’s Wellness Circle annual event, Empower One on March 6, 2019. I look forward to being a part of both celebrations knowing I will connect, share and learn with others as well as be a part of the cosmic energetic boost that will be created by millions of women (and men and children!) throughout this week. When I take a step back and consider what makes the Women’s Wellness Circles so special, it’s the opportunity to come together in a sacred space to be nurtured and to grow. Jill Hewlett’s blog The Beginning of Blossoming speaks beautifully to our innate desire to “burst forth into a new realm of growth and life experience,” even when it doesn’t feel like it or we feel so stuck that it seems impossible to do so. My growth is certainly multi-dimensional and because I continue to be empowered, my goals and overall life vision continue to become clearer (and bigger, yikes!). At the end of each year, typically in November, I begin my goal setting, planning and visioning for the coming year. For me, 2019 is all about conscious living. Conscious living to me is a fulfilled life but also one, as Steven Aitchison defines, where I have to actively evaluate my activities, decisions and options to make deliberate choices based on my values and my truth. This includes taking care of myself (see Jill Erridge’s post on Why Prioritize Your Self-Care?) and welcoming growth or a different mindset (see Karen Armstrong’s post on Time for a New Story). It also includes striving for mastery in my field, nurturing my spiritual growth, feeling balanced between Mind, Body and Spirit but also going outside of myself to take care of our planet. This leads me back to what’s behind conscious living – empowerment and growth. My growth is implicit by simply practicing and taking action (no matter how small that action is) towards conscious living. I am evaluating, making decisions and creating deliberate choices in my life. I am able to because I am empowered to make it happen. I am empowered to create those choices. I am empowered to take control over the multi-dimensional, gorgeous, meaningful fabric of my life. Every woman is on her own journey of empowerment. No two are alike. by caring about and for others and our planet. This year’s Empower One event will take place on Wednesday, March 6th and is a fun and powerful evening of community spirit infused with movement, music and moon teachings. You will feel connected, build your inner strength and spiritual fortification, engage in meaningful self-care and create new self-awareness. You will know your worth, stand confidently in it and take clear action. You will be empowered. I wonder where it will take you? What is self-care? The Oxford English Dictionary defines self-care as “The practice of taking an active role in protecting one’s well-being and happiness, in particular during times of stress.” So, it’s exactly what it sounds like: taking care of oneself. It’s an activity or practice that is embraced solely for the purpose of one’s well-being. But what is a practice? It’s the actual application of an idea, belief, or method; as opposed to simply theorizing about to it. We have all heard the term self-care, but how many of us have a practice around it? Something we intentionally incorporate into our lives. We all get caught up in our daily lives of work, kids, relationships, errands, aging parents, and more, so much so, that we often leave little time for ourselves. Mornings usually consist of some version of; hopping in and out of the shower, slapping on makeup in the car, getting everyone else out the door and eating breakfast (if we eat at all) while sitting at our desk. We’re very busy. There’s no time for self-care then. Evenings are no better with supper, which perhaps you pick up on the way home, homework and dealing with the problems that the day has delivered to the rest of the family. Then you fall exhausted into bed. Again, no time there either. Even the idea of self-care can feel indulgent when there are people relying on you. If you’re in this camp, and the very thought of putting yourself first makes you feel uncomfortable and selfish, think about when you are on a plane and the flight attendants go through the safety drill. They always say that if you are travelling with small children you should put your own mask on first. Why do they say that? It’s simple, you cannot care for others until you look after yourself. Life is a whirlwind and there is clearly no time for self care, right? But here’s the thing; if we don’t find the time or intentionally make the effort to care for ourselves we can become worn out, lack energy, lose perspective and be plagued by physical and mental ailments. While it seems like there’s no time, what if I told you that by taking just five minutes a day for yourself, you can amplify your ability to accomplish everything else in your life. Five minutes spent on you will calm your mind, which allows you to approach everything else from a more abundant and balanced place. Once you have incorporated five minutes of self-care into your life you can look for other opportunities to build on your practice. 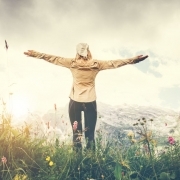 If you need some ideas on how to approach change and incorporate your own self-care practice, check out last month’s blog by Karen Armstrong. Of all the changes you resolve to make in your life for the year ahead, make taking care of yourself your number one goal. The investment in yourself will give you an amazing rate of return. You will feel calmer and more ready to tackle the ups and downs of life. Your friends and family will also benefit from having a better you. And the calmness and grounding that self-care can give you showers out around you and can impact the lives of strangers. When you feel balanced and good it is easier to be kind to others, share your beautiful smile with strangers, and make their day a bit brighter. Whether you do five minutes of self-care everyday or something else that feeds your soul, it doesn’t matter. It is about what works best for you, as long as you remember it is a practice and not just something you do when you’re exhausted. If we think about it this way – self-care is not indulgence, it is a gift you give yourself and everyone around you. Make today the day you start to care for yourself with the same love, kindness and forgiveness that you give to others. You are worth it. http://womenswellnesscircles.com/wp-content/uploads/2019/01/58406916_s.jpg 569 842 admin http://womenswellnesscircles.com/wp-content/uploads/2018/05/JILL_WWC-logo-1024x614.png admin2019-02-01 09:00:322019-01-23 16:52:04WHY PRIORITIZE YOUR SELF-CARE? It’s 2019… a New Year with new energy and possibility. Maybe it’s time to create a New Story? Now, I don’t mean become an author and write a novel, instead I’m referring to creating a new personal story. After all, we are the authors of our own lives. The challenge is, as with many things, humans are basically lazy. We fall into habits, and these become who we are and what we do. They operate at an unconscious level that feels normal to us. If these habits are healthy and serve our highest good then congratulate yourself for a job well done. Many times though, we have outgrown our personal story. We just don’t realize it. When do we need to change our story? I felt stuck, sad and frustrated. I made up all kinds of excuses in my head for why they never got accomplished, including that they weren’t important to my husband or that he just didn’t love me enough. I’m sure you get the picture. The difference this time was my friend, who had known me for many years. She’d(or he’d) heard this old story many times, but this time asked if I was ready to change it. What did that mean? I couldn’t think of any solutions or options as long as everything felt outside of my control. But who ever said that just because my husband is the contractor he’s the only one who can move the projects forward? We started to brainstorm all the possible things I could do to create the end results I was looking for. My energy shifted instantly, new ideas began to stream in. I got excited and felt empowered. In that moment, I was releasing my old story and creating a new one! It sounds so simple, however as I mentioned above, these thought processes are typically operating below the surface and feel completely normal. The trick is taking time to ask ourselves what we believe is true about whatever area in our life we want to make changes in. What have we been telling ourselves about these areas? These suggestions are things he picked up from reading about famous game changers. They are big-picture, shift-your-life-story items. Some may resonate and others may not. But they will get your imagination flowing. Start with one area you wish to have different results in. 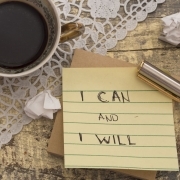 How can you shift into an empowered mindset? It’s a New Year, bringing new energy. 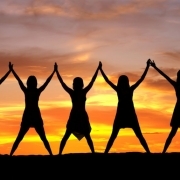 Why not join us at a local Women’s Wellness Circle if you live in close proximity to one? The presenters who show up each month share their story with us on how they ended up doing what they are doing. They are always incredible and always inspiring. If distance is an issue, keep tuned into this blog for more rich content moving forward. We are more when we share together. Feel free to share your stories with us. This quote by Anais Nin has been a source of profound inspiration to me over the years, especially in the early days of embarking on my wellness journey. Have you ever felt a strong urge to burst forth into a new realm of growth and life experience, yet uncertain of what that would look like or where it will take you? This has happened to me on countless occasions and I’ve come to realize that while it can feel big and daunting at the time; it’s a natural part of growth and in hindsight we typically realize it was simpler than we thought. When we feel clear and confident, we can take action easily, without much thought or hesitation. Tangible and satisfying growth comes naturally and we are rewarded with progress and a sense of accomplishment. But realistically, how often does this happen? It’s certainly not the norm! Life, in order to give us ample opportunity to grow, learn and strengthen physically, mentally, emotionally and spiritually, is full of unknowns, resistance, plateaus, curveballs and unexpected challenges at various phases and stages. So feeling unclear, confused, stagnant and perhaps even afraid at times is part of the life experience and what makes us human. Until one day, without a clear plan or certainty, in the face of the unknown, we risk grasping onto the familiar – for the possibility of something better; essentially, we leave the bud, so we can blossom. How is this done? Not by having it all figured out! In fact, it can be as easy as making one clear decision and taking one simple action; we begin to release ourselves from the bud. This is the beginning of blossoming. In my experience the female brain, does not typically work in a linear fashion, with all the details succinctly mapped out anyway. Thanks to our impressive capacity to sense and feel, and our openness to incorporate other peoples input, we tend to follow a more organic course of growth and pay attention to cues and clues along the way. This is a powerful form of leadership and stewardship. Anyone can just throw together a plan and then head full force into implementing all the details, but it takes patience, awareness, heart and soul, to breathe life into a vision, while continually considering and incorporating life’s many moving parts. Nonetheless, as women it is vital that we listen to ourselves, prioritize our dreams and goals and move forward in accordance with our inner knowing. Our inner GPS is powerful and from your own experience, you likely know that there isn’t any pay off in ignoring it or you’ll just end up retracing your steps. Life’s journey is not linear, it’s a spiral path. While we may want to have a clear set plan that plays out perfectly straightforward, there is a good chance that what actually transpires is better anyway. So, at the soon-to-be dawning of a new year and a question we can certainly ask at any time; what one decision and action might you take to further blossom into a healthier, happier and more fulfilled version of you? Likely it begins with a shift in priorities, mindset, and the readiness to leave the captivity of a bud that no longer serves your desire and readiness to blossom. And the day came when it became easier to make good health choices for longer term benefit, that to succumb to unhealthy choices for immediate pleasure. And the day came, when it was more enticing to ignore unpleasant comments than the allure of retorting back. And the day came when getting to the truth, even if it meant vulnerability, was more important than gripping onto a false illusion. And the day came when being true to self was more inviting than continually pleasing others at the expense of our self. And the day came when trusting that inner voice was more appealing than be influenced by outer chatter. And the day came, when embracing positive thoughts triumphed over ruminating in negative ones. And the day came when cooperation and collaboration favoured over competition and comparison. And the day came when breathing deeply was prioritized over a fast paced rush of getting things done. And the day came when it was easier to choose laughter over argument. And the day came, when self care triumphed over personal neglect. And the day came when confidence prevailed over self doubt. And the day came when it was more powerful to lead than to follow.